Metatron is an angel in Judaism that can be found in ancient Jewish texts. He is also considered a part of some branches of Christianity. There are two beliefs regarding the origin of Metatron. One suggests that God created him as a very powerful and wise angel with many skills. According to the other belief, Metatron was firstly created as a human being named Enoch and God turned him into this powerful angel after he has been ascended to heaven many times. You might have seen a somewhat consistent version of him if you are a fan of the famous TV series Supernatural. But there is more to his story than that. 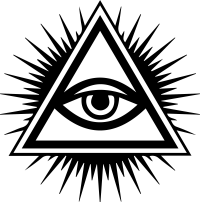 One part of that story is a symbol that is called Metatron’s cube. 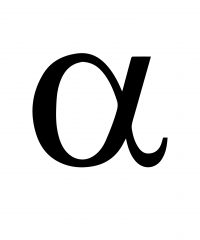 We will be examining this symbol and its meaning in this post after a few paragraphs about Metatron himself. 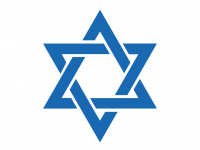 Although Metatron was one of the most powerful angels in Judaism, there is no mention of him in the Old or New Testament, or in other words, in the Jewish and Christian bibles. However, Metatron is mentioned in a couple of very short passages in the Talmud. Metatron makes most of his appearances in extremely old Jewish texts focused on mysticism as well as other occult writings. According to Rabbinic tradition, Metatron was the highest angel. It is also said that Metatron served as a celestial scribe and that he wrote down God’s words. What is odd here is that there is no consensus in terms of the roles Metatron played in the hierarchy of heaven and hell. He is quite the mysterious figure about which nobody knows much. Metatron’s Cube Symbol, Its Origins and Meaning – What Does It Mean? According to the myth, Metatron created a cube out of his soul which came to be known as the symbol named Metatron’s cube. The meaning of Metatron’s cube symbol has been a matter of debate for quite some time. Metatron’s cube is a very unique two dimensional geometric shape. Looking at it might be a little bit confusing at first, but it does follow a specific layout. Metatron’s cube is comprised of 13 equally sized circles, each of which have a line that comes out from the center and extends out to the centers of the other 12 circles. There are actually six circles on the interior part placed in the pattern of a hexagon – all around a single circle placed in the center. There are also six more circles extending out along those same radial lines. 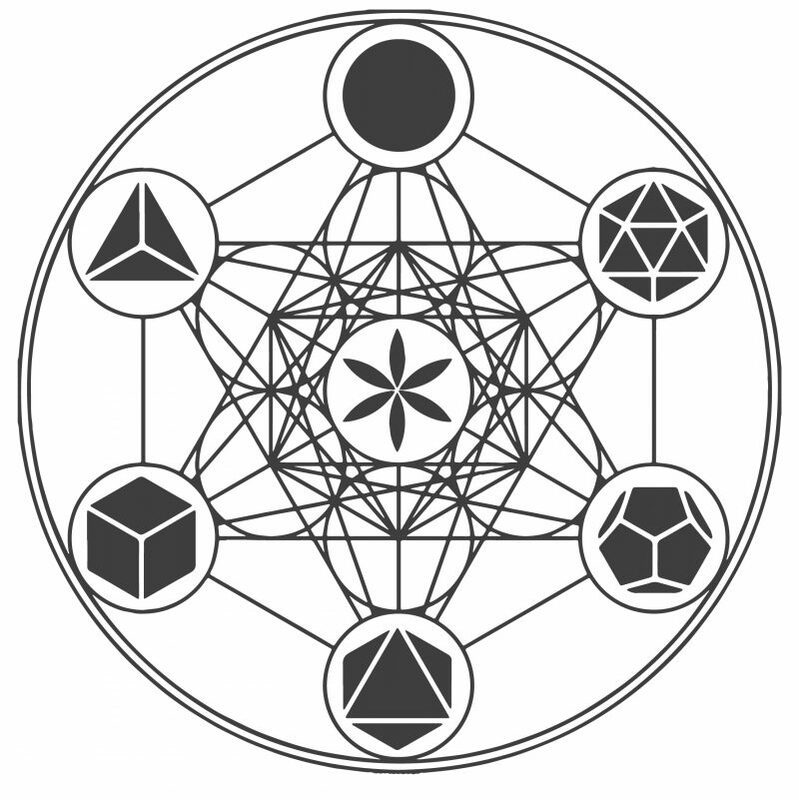 Since there are 13 circles in Metatron’s cube, each of which have nodes or lines connecting to the other 12 circles, the symbol contains a total of 78 lines inside it. That is not all you will notice about the symbol though; there are many different patterns inside it created by the lines of Metatron’s cube. Specifically, the internal lines create orthographic projections of the first 3 platonic solids on this world. One of the platonic solids that can be seen when the interior lines are examined carefully is the double tetrahedron also known as the stellated octahedron. One can also make out a distinct octahedron, as well as a cube inside another cube, which is known as a 3D image of a tesseract. Going back to the 78 lines, there are tons of shapes that can be found, including many different, flattened two dimensional shapes, mainly of the 5 platonic solids. Metatron’s cube shares a peculiar resonance with something that is called the Flower of Life. In some ancient cultures, this flower of life, as well as Metatron’s cube, were very sacred geometric symbols. Of course, the cube refers to the angel Metatron, an angel mentioned in extremely old religious and spiritual texts, ones such as the Second Book of Enoch and the Book of the Palaces. According to both of these texts, Metatron is ranked second only to YHVH, a being considered to be God itself. In terms of spiritual beings, Metatron was considered God’s right hand man. Some scholars have debated about the original purpose and the meaning of this cube, but there are some pretty good theories. One of these theories is that Metatron’s cube is a way for God or YHVH to pass on knowledge to human beings. The reasoning beyond this theory relates to the tree of life. Metatron’s cube is believed to be originally derived from the tree of life. However, according to the early holy scriptures, humans were not around when there was the original tree of life. Therefore, in order for YHVH to pass on knowledge to humans, specifically about the tree of life, it would be necessary for humans to study Metatron’s cube. It is a channel of knowledge, in a sense. Metatron’s cube is also a holy glyph. 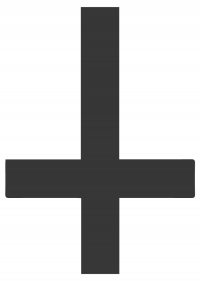 In the olden days it was used as a drawing to ward off demons, unholy spirits, and other unwanted guests. Thirteen is definitely a special number if we are talking about Metatron’s cube. There is a reason why there are a total of 13 circles present in this cube. This is because they are representative of more important things other than themselves, and in fact, they can represent more than one thing. Some scholars have theorized that the 13 circles actually represent the 13 archangels. It is said that these archangels each hold a specific element of creation, and therefore, with God’s love, expand these elements to give life to all. They are said to be able to bring balance to the earth. It is also said that the 13 circles in Metatron’s cube also represent the 13 centers of energy in our human bodies. It is said that there are 13 energy centers of experience. These are believed to be manifested through Metatron’s cube. Number 13 is also sacred because it represents the 13 sacred keys of creation. Each of the circles is representative of one of the divine laws of creation. According to one interpretation, these 13 keys hold the secrets to both evolution and divine spiritual enlightenment. Hope you liked our article about Metatron’s origin story, Metatron’s cube symbol and its meaning. Share it if you could please, thanks.